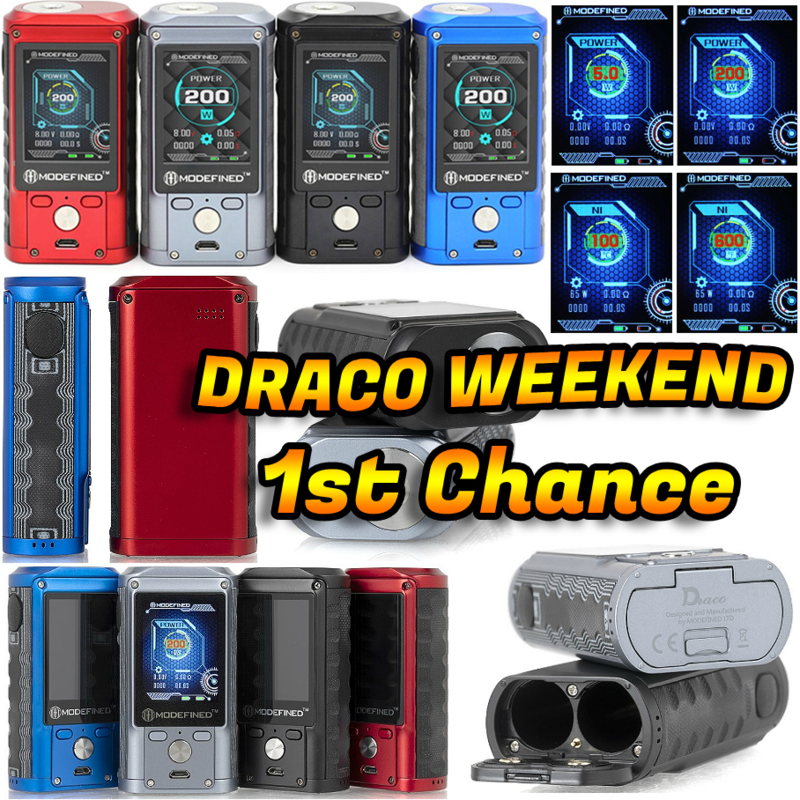 DOUBLE DRACO WEEKEND - 1ST CHANCE! We were thinking of how to impress you all and finally decided on a Modefined Draco double giveaway weekend - YOU HAVE TWO CHANCES AT WINNING THIS BAD BOY, SATURDAY AND SUNDAY! The winner of the lottery #1099 for DOUBLE DRACO WEEKEND - 1ST CHANCE! was Thina Boshoff from Worcester, South Africa on Nov 24, 2018. The Modefined Draco features a beautiful die-cast zinc alloy construction with G10 textured side panels for added comfort. The Draco can fire up to 200 watts and supports multiple temperature control modes for nickel, titanium, stainless steel, and TCR. The Draco features a beautiful and high quality 2.0" TFT full color display screen with a detailed user interface. The Draco features adjustable color and brightness settings to cater to your personal preferences. The Draco is powered by (2) high amp 18650 batteries and features a micro USB port which can be used for both charging and future firmware updates.